What Makes a Scene Scary? @SwagThuf4Lyfe prefers the short film version. I liked his detailed analysis, but I thought he overlooked the importance of the actress in the scene. The movie version has clearer lighting on her closeup, so her reaction shots can do more of the work in the set-up. At the jump scare, the monster is facing the victim, still in shadow, with lit-up eyes – this is a more threatening pose than the partially-visible figure in the short film version with its back turned. I agree the monster’s point of view can be scary, but if you are going for a trailer-paced scare, there are advantages to focusing the audience on the point of view of the scare-ee. Minimalism is natural technique for film scores when you don’t want to have a theme or melody under a scene. Just listen to how much John Adams accomplishes with just a few chords, stretched, stretched, stretched. What a great piece of music for sci-fi fantasy action (temp or otherwise!) It’s not exactly superhero dark, more like old school 80s thrills. Can’t beat that fanfare at the end. No Stairway! 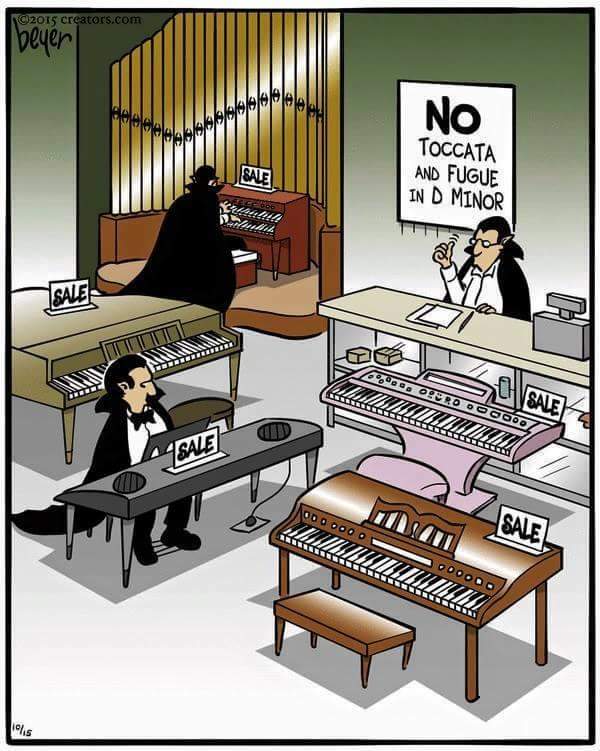 And No Toccata and Fugue in D Minor! During my first visit to Comic-Con in San Diego I saw a Video Games Live concert at the outdoor amphitheatre out behind the convention center. It was packed and festive. There was a Guitar Hero contest midway through, and people went nuts when the orchestra performed a suite from Castlevania. Research showed that, apart from concerns about price and length, audiences were put off by the concerts because of “that feeling that you had to know something in order to be there,” said John Holmes, the director for marketing and development for the orchestra. What Distinguishes Well-Made Music and a Masterpiece? An online composer group is discussing going from Good to Great with our music. And I thought of a Nadia Boulanger documentary (the entire video is on YouTube). Boulanger knew a thing or two about what makes a masterpiece, because she taught many of the leading 20th century composers, including Aaron Copland, Philip Glass, Elliott Carter, and Quincy Jones, and arguably had the greatest musical skill of any person alive at the time. Well, I can distinguish music that is well-made and music that isn’t. Yet what distinguishes well-made music and a masterpiece, that I cannot tell….It all comes down to faith. As I accept God, I accept beauty, I accept emotion, I also accept masterpieces. There are conditions without which masterpieces cannot be achieved, but what defines a masterpiece cannot be pinned down. In this study, we investigate another subtler, yet powerful factor that contributes to this fear: the ominous background music that often accompanies shark footage in documentaries. Using three experiments, we show that participants rated sharks more negatively and less positively after viewing a 60-second video clip of swimming sharks set to ominous background music, compared to participants who watched the same video clip set to uplifting background music, or silence. This finding was not an artifact of soundtrack alone because attitudes toward sharks did not differ among participants assigned to audio-only control treatments. It’s easy to make light of this, but experiments like this prove an important point about film music: the soundtrack shapes the audiences’ perception of a scene. And the better the music, the more powerful the shaping. Now let’s enjoy a scene from Jaws with and without music, performed live with John Williams conducting. 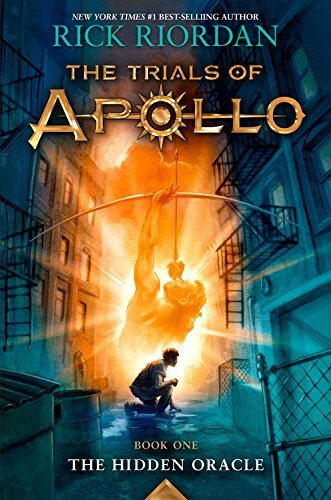 May I share a bit of epic music I produced for The Trials of Apollo book trailers? Somehow I managed to play both recorder and metal guitar on it. This one has my friend Rachel Mellis on flute, and me on recorder. Who’s the better woodwind player? Cinema Palettes takes stills from famous movie scenes, then extracts 10 shades to build a color palette. I love the thought and care that goes into the color in these shots. Adult Swim broadcasts bizarre 3am comedy one-offs from time to time. This one is worth your time, a parody of late 70s/early 80s era of synth greats Vangelis, Wendy Carlos, and Giorgio Moroder. Somebody really knew their obscure references. With a save-the-world ending that is a little reminiscent of the Revenge of the Nerds (composed by, yes, *that* Thomas Newman). Anyway, a fun way to take a dive into classic synth history. music for No Place On Earth and The Short Game. USC grad in film music.